6 Tips about laundry and your student- Bring it home or do it at school? If your student has not done laundry at home use the last month or two before they leave to teach them how to use a washer, sort laundry, empty pockets and use a stain remover . Find out if the washers and dryers need coins or if money is put on a plastic swipe card. Put some money on the card or send coins to get them started and into the habit of doing laundry. 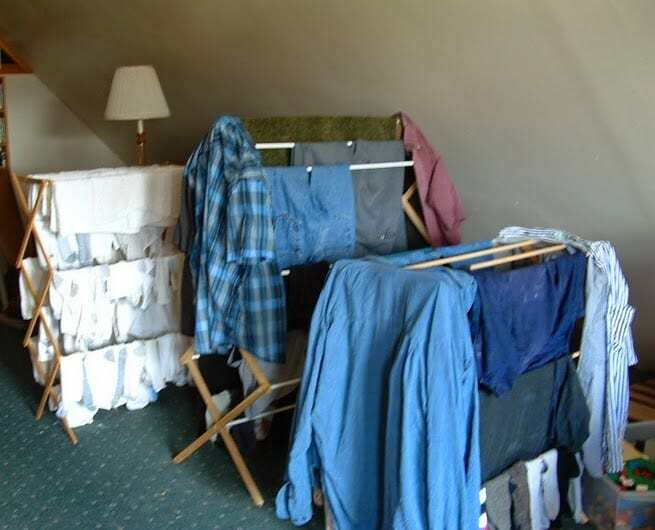 Provide a central collection area for their laundry in their room. It might be on the back of a door or chair, a bin or bag in the closet. It needs to be easily portable so they can move it easily to the Laundromat which may be on another floor. 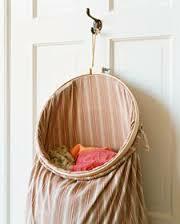 Put a laundry bag on the back of a door. 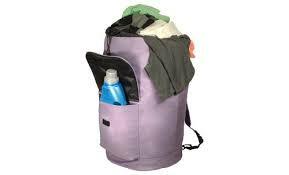 Backpack laundry bags make it easy to get everything to the laudromat. 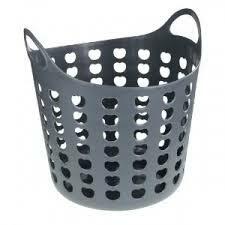 A basket can be put in any convenient location and is sitting open easily to throw clothes in. Buy liquid laundry detergent because it dissolves quickly and comes in small bottles. It is better to have a supply of small bottles than a large one which is heavy and hard to take to the Laundromat. 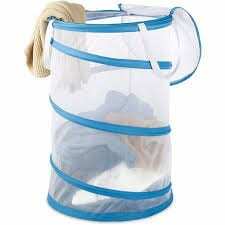 Buy fabric sheets for the dryer as the student will probably never be there for the rinse cycle. 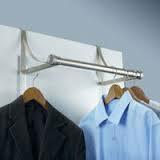 Have a place to hang up clothes – a line, door hooks or a free-standing wire rack in their room for things that are damp or that they don’t want to put in the dryer. 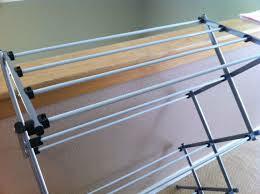 Folding wooden or wire racks can be hidden away when they are not in use under the bed or in the closet. 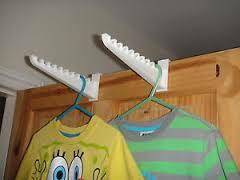 Over the door hooks come in many styles to fit the door and space. 6. Who does the laundry, parent, student, home or at school? Decide if you will do their laundry when they come home on weekends. Set the policy early so there are no surprises. Share your experience about laundry successes and failures. Today’s post is by Jackie Heath of Allied Van Lines. Thanks for sharing your expertise with my readers. 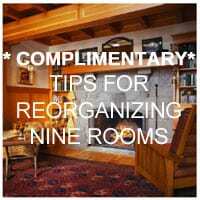 Moving someone off to college? Here’s a quick list of what’s necessary, and what really isn’t. Your first impulse when packing up and heading out to college will probably be to include all those creature comforts you’re sure you can’t do without. Sure, you’ve heard space will be limited, but you still need clothes to wear and books to read, right? Not necessarily. If you’re like most new college students, chances are, there’s quite a bit you can do without. Of course, not all of these items have to be purchased in advance and put onto the moving truck. If space is limited, you may want to make a list of items to bring with you from home and a separate list of items you can buy once you arrive. A last-minute trip to the drugstore can usually provide you with everything you need to get settled in. More important that what to pack for college is what not to pack. These items tend to be bulky, heavy, or not relevant—which means that not only will they crowd your room, but you’ll pay more for the moving van, as well. We also recommend not bringing things like school supplies, as you may not be sure what you need until you arrive and attend a few classes first. 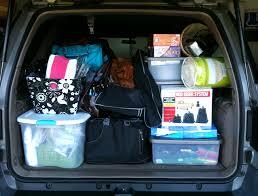 Share in the comments what you packed for college that was completely useless?